Apple iPhone owners that are following the Vancouver 2010 Olympics might want something more than a webpage, an iPhone app dedicated to the Winter Olympics will be much simpler to use. Thanks to NBC, you can use the NBC Olympics iPhone App that will let you view highlights and results from Vancouver 2010. The application lets you view all the events with live real-time updates. The latest news stories, medal counts, schedules, and a lot more are included for your Olympics fix. If you live outside the United States, you will not be able to view the video clips. Read about the features on icrazee, or download the app on Apple iTunes. The 2010 Winter Olympics, officially the XXI Olympic Winter Games or the 21st Winter Olympics, will be a major international multi-sport event held on February 12–28, 2010, in Vancouver, British Columbia, Canada, with some events held in the resort town of Whistler, British Columbia and in the Vancouver suburb of Richmond. Both the Olympic and Paralympic Games are being organized by the Vancouver Organizing Committee (VANOC). 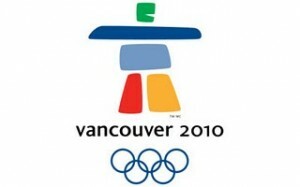 The 2010 Winter Olympics will be the third Olympics hosted by Canada, and the first by the province of British Columbia. Previously, Canada was home to the 1976 Summer Olympics in Montreal, Quebec and the 1988 Winter Olympics in Calgary, Alberta. Following Olympic tradition, then Vancouver mayor Sam Sullivan received the Olympic flag during the closing ceremony of the 2006 Winter Olympics in Turin, Italy. The flag was raised on February 28, 2006, in a special ceremony, and will be on display at Vancouver City Hall until the Olympic opening ceremony. The event will be officially opened by Governor General Micha?lle Jean. The ceremonies will be held at BC Place in Vancouver, Canada. The official coverage of the Winter Olympics Vancouver 2010 is going to be broadcast by NBC in the US. Exclusive videos of the event may be seen at the NBC website. Fortunately, we have a replay of the Vancouver 2010 Winter Olympics Opening Ceremonies here. You can watch the Vancouver 2010 Winter Olympics Opening Ceremonies video below.